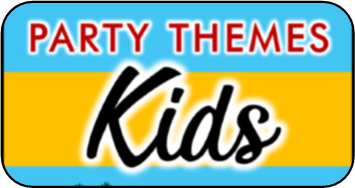 A Knight and Princess party is a great theme for a fun boy/girl party. Below are some funtastic royal party games that will be a blast to both the knights and the princesses at your royal party. I always suggest having an activity that the children can do when they first arrive. This will keep guests from getting restless while they wait for all the guests to arrive. For a knight and princess party each child can make their own princess tiara or Knight crest. For the princesses you can pre-cut the tiara shapes from poster board and provide stickers, decals, markers, jewels, glitter and such for them to decorate their headpiece. If you would rather purchase a kit try the one below. For the knight crests you can cut arm and head holes in pillowcases. Draw an outline of a shield on the front of each case and let the knights design and color their own crest to wear during the party. Before they decorate measure it around their heads and cut off in excess. This is a fun royal twist on the classic game hot potato. The kids sit in a circle and pass a dragons egg (balloon) around while the music is playing. When the music stops whichever child is caught holding the balloon must bust it open as fast as they can to retrieve the gold coin (plastic) inside. They can then trade the gold coin in for a small prize. After a person is caught with the dragon egg they must sit out for the rest of the game. The game continues until there is only one player left. They are the victor! The quest is on! Get ready to find the royal items and return them to the King for a reward! Hide royal items throughout the playing area and challenge the players to find them. For this game I wrapped two gifts ( a wand and a sword) in Eight layers of wrapping. To play the children sit in a circle and pass the gift around while the music is playing. When the music stops whoever is holding the gifts can unwrap one layer of wrapping. The game continues until the last layer has been removed. Whoever removes the last layer wins the prize! These are three mini games I came up with that the children can practice their dragon fighting skills with. I set these up to so that the princesses and knights can go from one to the next practicing their skills individually. It does not matter which one they try first. -	This game the children practiced their strength by knocking down the dragon with bean bags. I made the bean bags out of small child socks and dry beans. For the dragon I used an inflatable one I purchased from Oriental trading company. -	The next game they practiced their aim. I blew bubbles and the children had to pop them all before they hit the ground. The knights used toy swords and the princesses, their magic wands. -	Make the dragon Laugh – everyone knows if you can make a dragon laugh he is much easier to defeat. In this game the princesses and knights practiced their wit by trying to make the jester (played by my sister) laugh . They each had 45 seconds to give it their best. When they mastered a challenge they received a star sticker. A different color for each challenge, I purchased these at the dollar store. Once they received all three stickers they would be considered dragon masters. Now that the children are dragon masters it is time to face the dragon! My husband volunteered to play the dragon. He found a cheap dragon mask online to help create the part. This is one of my most popular knight and princess party games I choose. This party game best played outdoors or in a space large enough for running. The knights and princesses are provided with a tub of water balloons (if it’s not getting wet weather, you can just have them tag the dragon with swords and wands) that they must use to drench the dragon. When the dragon is hit with a balloon the only way he will throw out some of the treasure (candy). While the knights and princesses are collecting the candy he makes his escape again. 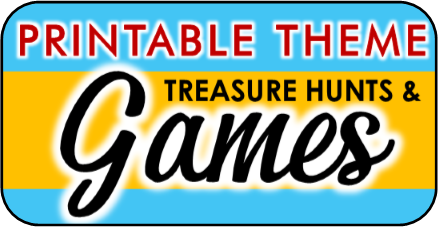 The game continues until all the treasure has been thrown. All the knights and princesses attend the Royal Ball ready to dance the night away, but when the music stops they must freeze in place until the royal music starts again. If they move, laugh, or talk then they must sit out until the next song.